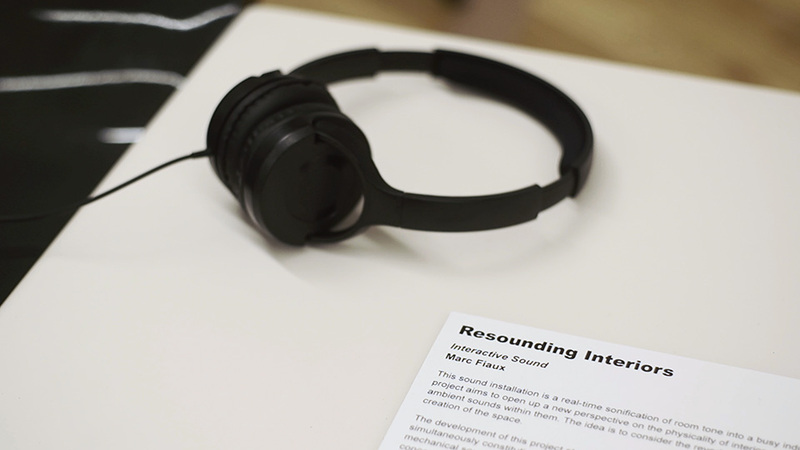 Resounding Interiors is a real-time sonification of room tone into a busy industrial factory. The project aims to open up a new perspective on the physicality of interior spaces by transforming the ambient sounds within them. The idea is to consider the reverberated sounds as implicit in the creation of the space. The development of this project stems from a fascination in the physicality of interiors as simultaneously constituting of a positive/occupied and a negative/emptied presence. Consequently, mechanical sounds resembling a factory with heavy machinery are fundamental to materialize this concept, and provide a relentless array of acoustics to imagine the physical space perpetually constructing itself as a tangible sonic environment. 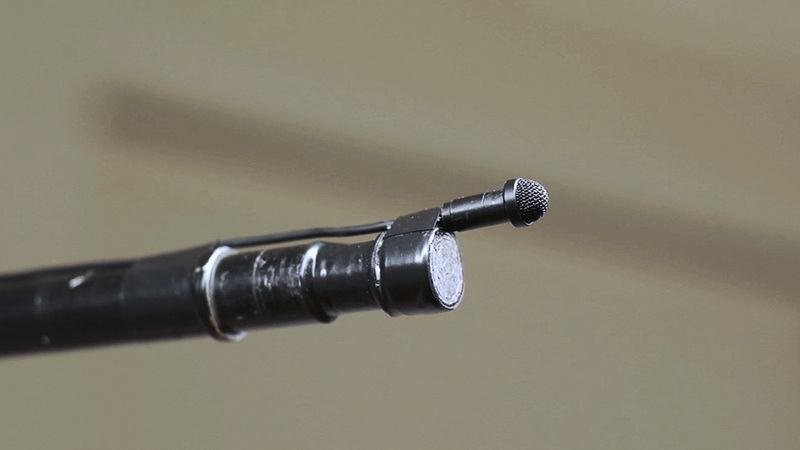 The inanimate space suddenly becomes very real in the mind of the listener through the sonification. What is revealed is an austere industrial world functioning on its own agency. The machines emerging out of the interior elicit an invisible presence, as if the room were alive, a mechanical organism, operating and orchestrating its own physicality. Specifications: Room, microphone, digital recorder, computer, headphones and a chair.